Greek crushers Septicflesh recently released their latest album Codex Omega. Guitarist/keyboardist/clean vocalist Sotiris Vayenas gives us the scoop on the album, tour plans, the changing music industry and other topics. 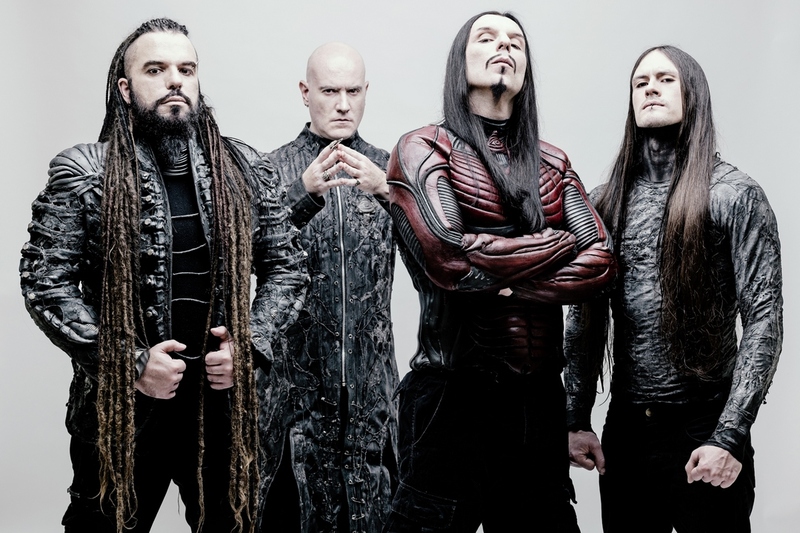 Chad Bowar: This is the first Septicflesh album for drummer Kerim “Krimh” Lechner. How did he come to join the band a few years back? At some point we decided to part ways with Fotis Benardo and so we had to find another talented drummer. After a careful search, we found Krimh. He is an amazing drummer and has also composition skills. In addition, he is a very good person! We completed the last leg of the Titan tour with Krimh behind the drums and he passed the test with flying colors. Then we worked together for the creation of the new album and he brought his own elements to our sound. Was there anything unique about the writing process for Codex Omega compared to the typical Septicflesh album? The typical Septicflesh album creation process is a hell of a process. A song idea can start based initially on guitars and then expanded to include symphonic passages, but also can start as a symphonic piece and then we have to find the appropriate rhythm section. As there are always a lot of different options, we experiment a lot before reaching to the final versions of the songs. In addition, all members of the band are composers, so there are tons of ideas and at some point we have to make hard decisions and leave stuff behind. It is like writing material for three albums and then picking the best from them and creating one album. This was also the case with Codex Omega. How did you decide to work with producer Jens Bogren this time around? We wanted a more organic and natural sound and he is a specialist in this field. So he was on top of our list. And as his schedule was compatible with ours and he liked the idea to work with us, he agreed to take the job. What’s his producing style, and how was the experience for you? He was open to our suggestions and really careful to have a balance between the metal and the orchestral elements of our music. He understood very quickly what we wanted to achieve. Our collaboration was great and we are very satisfied with the result. In my opinion Codex Omega has one of the best productions of Septicflesh to date. You also include a bonus disc with songs you recorded with an orchestra. How challenging is that process? The bonus material is a presentation of the actual orchestra recordings, devoid from the metal element and also unified like some kind of a soundtrack. So it is a different perspective and I am sure our fans will find very interesting the experience. Considering the live shows, indeed it is not an easy task to mix the orchestra waves with the live sound. To achieve the best result we have our own very experienced sound engineer on the mixing console. There are lyrics inspired from what is happening in today’s world like “Enemy of Truth” and “Portrait of a Headless Man.” There are lyrics with occult implications as “Faceless Queen” and “Trinity.” There are lyrics inspired from literature as “Dante’s Inferno,” etc. So there is a variety of subjects and moods on the album. As for the main song that influenced the title of the album, it is about the third and final testament. Actually it is a highly anti-religious song. Also, I did a little game play on the titles of the songs. Notice that I used many words connected with religion such as testament, church, martyr, gospels, inferno, trinity, etc. Our prime goal has been completed. We composed and recorded some music that we are really proud of. Considering the future of the band, the momentum is good and as it seems the popularity of the band keeps growing all around the globe. They are important as they influence people. But of course music and art in general, is a matter of personal taste and opinions may differ. When we are composing music we are definitely not thinking about reviews. We are 100 percent focusing on expressing our deepest emotions and we always do our best to surpass what we have done in the past. Considering Codex Omega, the first reviews that are coming out are very positive to say at least. In any case, now with the internet, it is easier for people to just listen to the music for themselves and make their own opinion about it. You have a Latin American tour coming up. What other tour plans are coming up? Are there plans for a North American tour this album cycle? Besides the Latin American tour with Fleshgod Apocalypse that will happen this October-November, we are booked for the famous heavy metal cruise/festival 70,000 Tons of Metal that will happen at the beginning of February 2018. No other dates and places are fixed at this early point, but surely North America is in our plans. The promotional process has changed substantially since you started. Used to be maybe one single would be released in advance of an album. Now months ahead there are in studio videos, lyric videos, audio streams, etc. Do you like the new way or prefer the old school way of promotion? I think it is better for the audience to have a more complete view of an upcoming release. How can only one song represent a whole album? Especially for bands like Septicflesh, it is good to present more songs as there is a variety of mood and character from song to song. The industry is moving from customers buying music (CDs, vinyl, MP3) to renting it (Spotify, Apple Music). Is that bad for artists? Economically speaking, yes. However, through these renting services the material is available worldwide at any moment with just a click and people can check out a vast number of bands and releases. Greece has faced some challenging economic conditions over the past few years. Has that affected the metal scene there? Things are definitely rough right now. However, most musicians are dedicated to their art and find a way to keep pursuing their dreams. Looking back at the Septicflesh catalog, is there an album you think was overlooked or underrated at the time of release, but in retrospect has held up very strongly? Probably Revolution Dna. When it came out, some people were surprised as it was quite a drastic change from the previous albums. However, with the passing of time, it grew on people and some even consider it one of our best releases of the first era. What are some of your non-musical hobbies/interests? Films, literature, philosophy, solving occult riddles. Kreator – Gods of Violence, Mastodon – Emperor of Sand, Iron Maiden – The Book of Souls. We’ve just revealed a video for “Portrait of a Headless Man” and one will be coming for “Martyr,” so keep an eye open.